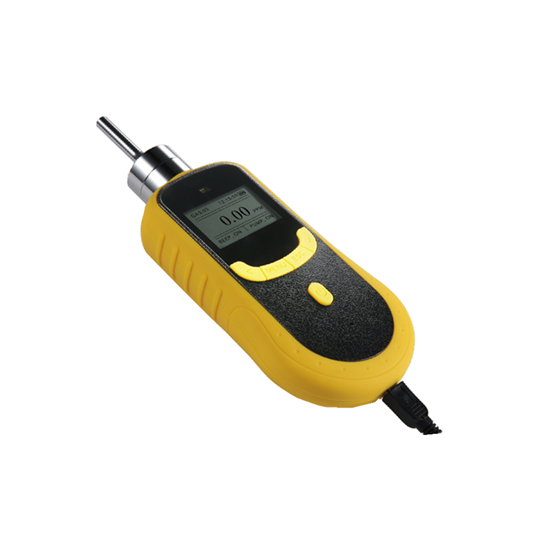 Oxygen gas detector monitors O2 by high precision sensor with the range of 0 to 30% Vol, offers sound and light alarms, features portable, backlit LCD display, high capacity battery, IP56 protection grade, suitable for different situations. Hydrogen Sulfide (H2S) Detector is pump suction style which can detect the H2S in the dangerous areas like oil, metallurgy, chemical, medical, agriculture, refinery and other areas. Hydrogen sulfide detector shall be installed in the areas which are easy to release and gather the hydrogen sulfide gas, such as the drilling site, downhole operation site, gathering station, natural gas evolution field, water treatment station and refinery area. The mounting site of H2S detector should be determined by on-site facilities, processes, and the diffusion and gathering of hydrogen sulfide gas. The H2S detector should be installed below the release source, and it shall be within 2m outside and within 1m inside. Moreover, the detector is better to be installed at 0.5-0.6m away from the release source. The installation height shall be 0.3-0.6m higher than the ground or floor. If the detector is installed lower, it’s easy to be affected by the rain drops, which may damage the detector. If possible, please select the detectors with concentration display and acousto-optic alarm. The operators can observe the existence of hydrogen sulfide gas on site without returning to the duty room to see the alarm controller. It is finally better to protect them.